Home Blog Anti-Aging by the Decade: What Should I Do for My Skin After 30? Being in your 30s comes with a lot of perks. It’s the time of life when many a career takes off, some of us add “mom” (or “dad”) to our resumes, and, in any case, we feel like we’re coming into our own. Heck, you can even run for president once you hit 35! All this comes with awareness that you’re not getting any younger, and you may see evidence of this in your skin. 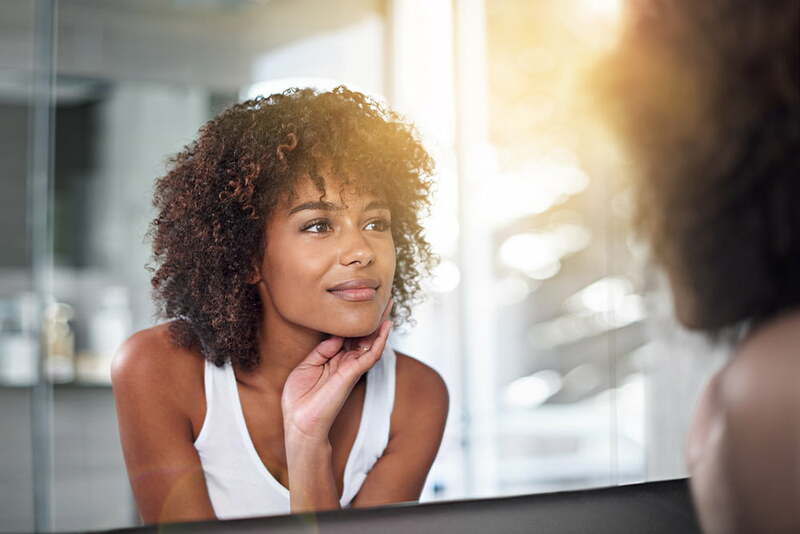 It’s not too late to atone for skincare sins of your youth, but you do need to double down on good habits now to address changes and prevent early aging. Start with these skincare tips from Dr. Duplechain and our team at Laser SkinCare of Louisiana in Lafayette. Even if you completely ignored skincare advice up to this point, we want you to read the skincare tips we give our 20-somethings and make them a part of your routine now. This includes a healthy diet, excellent sleep hygiene, and other healthy habits that create more radiant skin. Did we mention most of them cost little to nothing to implement? It’s not too late to atone for skincare sins of your youth. Double down on good skincare habits now to prevent unwelcome signs of aging down the road. Antioxidant serum. Antioxidants have the power to neutralize free radicals that come from environmental pollutants and stress. They can also keep collagen production and cell turnover going strong, protecting your skin from further damage, and visibly improving skin texture and brightness. A daily dose of antioxidants via a serum such as SkinCeuticals C E Ferulic can help repair damage for healthier skin. Retinol. Derived from Vitamin A, retinol is also an antioxidant, but it’s so key to youthful skin that it deserves its own call-out. Regular retinol use can smooth fine lines, fade dark spots, and even help reduce acne in a matter of months. Medical grade retinol packs a powerful punch, so follow application instructions carefully to keep your skin safe. Moisturizer. Chronic dry skin is more common in your 30s. Decreased cell turnover and lower amounts of hyaluronic acid causes skin to lose some of its natural moisture. Regular exfoliation can help (more on that below), but a good daily moisturizer is a must, no matter what your skin type. A top choice among our patients is SkinMedica HA5® Rejuvenating Hydrator, which plumps and hydrates rapidly to help reduce visible lines. Broad Spectrum SPF. You know sunscreen had to make the list: SPF is the most effective ways to prevent premature skin aging and reduce skin cancer risk. Choose a broad spectrum SPF 30 or higher product to protect against both UVA (aging rays) and UVB (burning rays). And yes, you can find sunscreen that’s safe and effective but is also light feeling, pleasant-smelling, and wearable under makeup—just ask us! For product recommendations that will be worth the investment, turn to a board certified cosmetic surgeon or dermatologist, not the latest fashion mag. A qualified MD will have access to medical grade skincare with higher levels of active ingredients (as well as laser treatments and more). They can tailor a plan to your skin for more satisfying, predictable, and speedy results. As we enter our 30s, skin cell turnover begins to slow down. This can result in a lackluster complexion, as we don’t shed the dull, damaged outer layers as readily as they did when we were younger. The solution? Exfoliation! Sloughing away dullness and debris not only reveals smoother, healthier looking skin, it also helps products absorb better, so you get the most from your daily regimen. Products we love include SkinCeuticals Blemish + Age Defense Serum (great for adult acne prone skin) and SkinMedica’s AHA/BHA Exfoliating Cleanser, which is safe for most skin types and does an amazing job helping skin glow. Supplementing with monthly professional exfoliation treatments such as a ViPeel, microdermabrasion, or lunchtime Soft Peel can do wonders to help minimize fine lines, dark spots, and other early signs of aging. For product recommendations you can trust to be worth the investment, turn to a board certified cosmetic surgeon or dermatologist, not the latest fashion mag. Have you noticed that your face looks just a tad bit harsher than it used to? There are two likely culprits: expression lines and volume loss—and injectables can foil both foes. BOTOX can help you “unlearn” habits of squinting or brow furrowing, keeping expression lines from getting too bad in the first place. Many of our patients begin BOTOX in their 30s for this very reason. BOTOX works by temporarily stopping habitual muscle contractions that create frown lines, crow’s feet and brow furrows, softening these lines and helping you look naturally refreshed and well rested. But wait, there’s more! 🙂 BOTOX can actually help your face “unlearn” subconscious habits of squinting or furrowing your brow, keeping expression lines from getting too severe in the first place. In fact, many of our Lafayette Botox patients begin treatment in their 30s for this very reason. Young skin is chock full of hyaluronic acid, collagen, and elastin, which make it plump and firm. Your face also has a healthy fat layer, which makes for soft, round cheeks and lips. As we age, these substances begin to dwindle, resulting in thinning features and creases and folds around the nose, mouth, and eyes. Fillers to the rescue—and you don’t have to wait until you have pronounced wrinkles to benefit from injections. Even just a small amount of filler can plump the skin to previous levels, smooth out fine lines, and restore youthful softness to cheeks and lips. Because filler results can last anywhere from 6 months to 2+ years, they’re a huge hit among our busy 30-something patients. Adopt a smart skincare plan now, and you very well may pass for 30 into your 40s…and beyond! Dr. Duplechain and our team love helping patients fix their most bothersome skin concerns, but even more, we love empowering our patients to prevent those very concerns. We invite you to take the first step towards gorgeous skin for years to come and contact our Lafayette cosmetic surgery practice and skincare center for a consultation. We’ll examine your skin, listen to your primary concerns, and help you design the best skincare routine for your personal needs and goals.